Mrs Bishop's Bakes and Banter: Wrendale Designs launch their scarf collection plus a brand new children's book: Review and Giveaway! Wrendale Designs launch their scarf collection plus a brand new children's book: Review and Giveaway! What's on your Wrendale Wishlist? 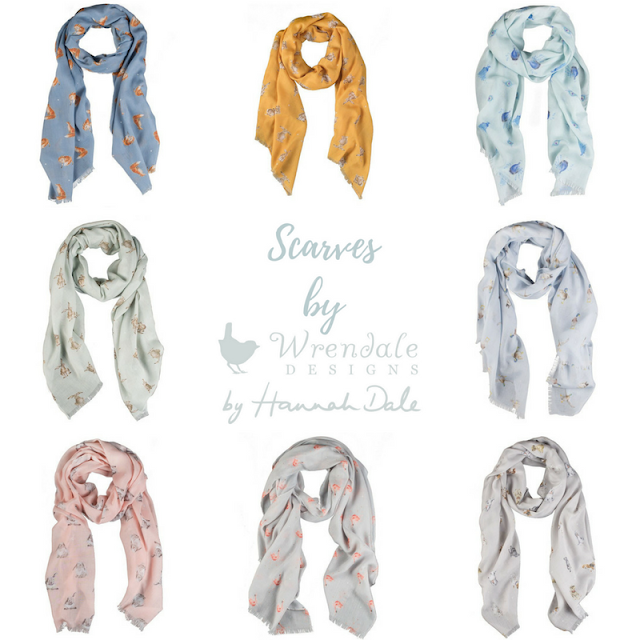 As a brand Wrendale are always coming up with beautiful new ranges and just when I think they can't possibly outdo themselves, they release something even more stunning! Most recently they've launched a fabulous new Scarf range which contains 8 gorgeous designs featuring the beloved Wrendale animals: fox, hare (two colours), peacock, duck, bunny, flamingo and dogs. I love the beautiful pastel hues and I think the designs are really timeless and elegant. Each scarf measures 70cm x 190cm and is supplied with its own gorgeous gift bag. 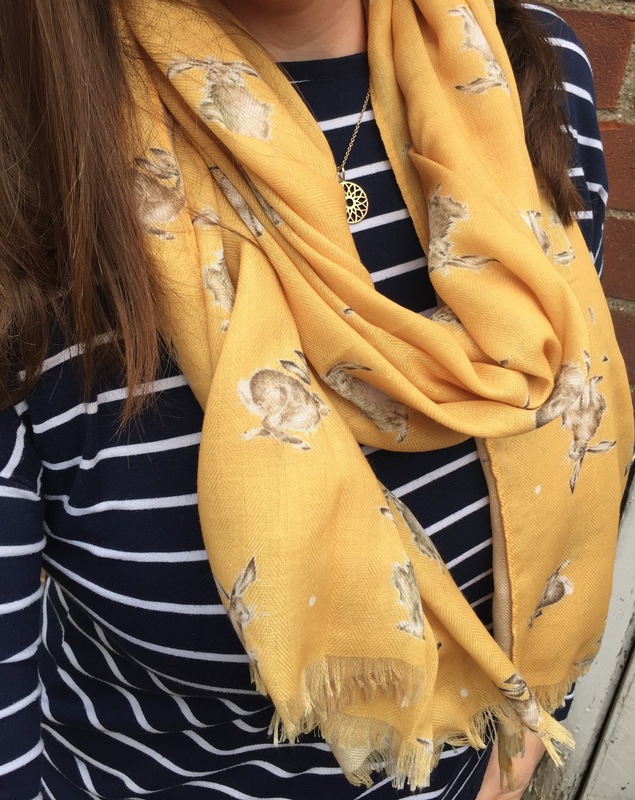 The scarves retail at £20 each, making them a totally affordable gift, or payday treat. 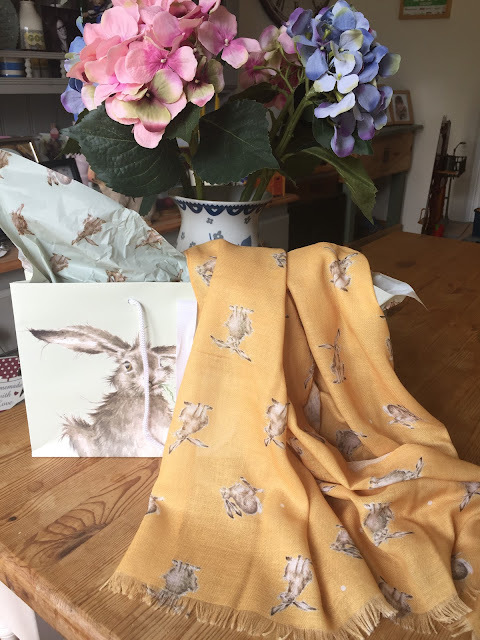 The lovely folks at Wrendale very kindly gifted me their stunning Mustard Leaping Hare scarf (as they know mustard is my absolute favourite colour) and my goodness, am I chuffed with it! The photos don't do it justice, it's a really beautiful soft material, it flows and is as light as air - making it so comfortable to wear. I might have oo-ed and ahh-ed just a little bit when the parcels arrived, I mean can we just take a moment to look at how stunning the wrapping and gift bag is? I'm an absolute sucker for beautiful packaging and I think you can tell a lot about the quality of the product from the way it is wrapped. 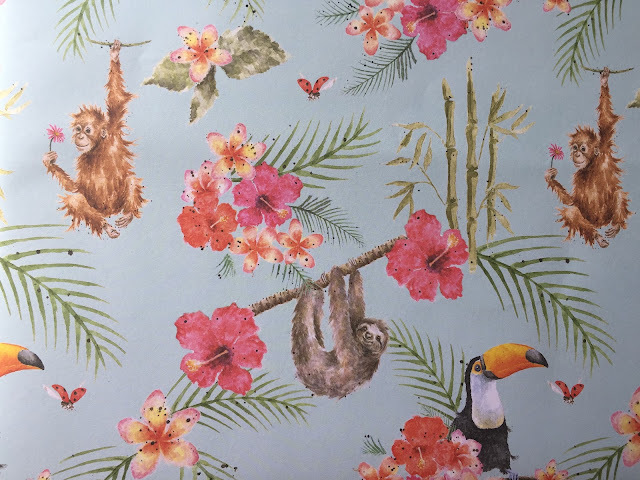 Bert was so excited to see a parcel addressed to him which was wrapped in this amazing Zoology Double Sided Gift Wrap which features an orangutang, sloth, toucan and ladybird among tropical flowers, bamboo and palms on one side, and a gorgeous stripe on the other - very on trend right now and super cute! I wore my scarf for the first time on Sunday when I met a friend for lunch in a local favourite restaurant. I teamed it with Navy Blue skinny chinos and a navy/white Breton stripe top. 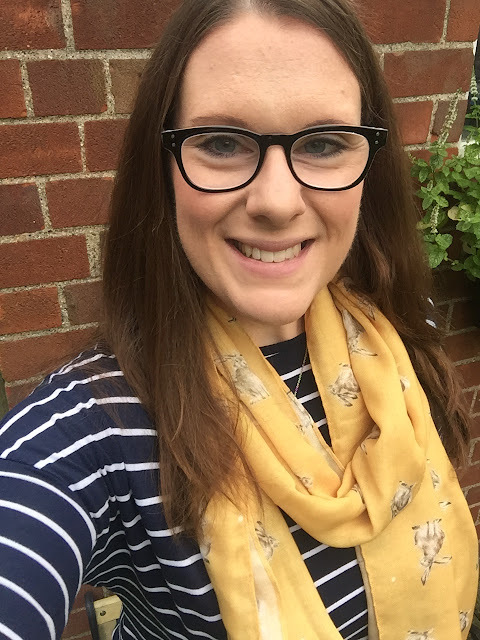 I loved the huge pop of colour it gave to my outfit and it was the perfect accessory for what felt like a very autumnal day! 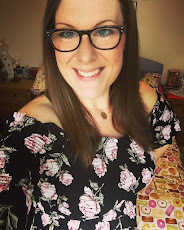 I'm excited to pair it with other outfits of mine - I'm thinking that wearing it with my tweed Joules blazer may well become my go-to look this autumn/winter! As I mentioned earlier in the post, as well as sending the scarf the kind people at Wrendale HQ also sent over Hannah's latest children's book called 'Have You Heard?'. 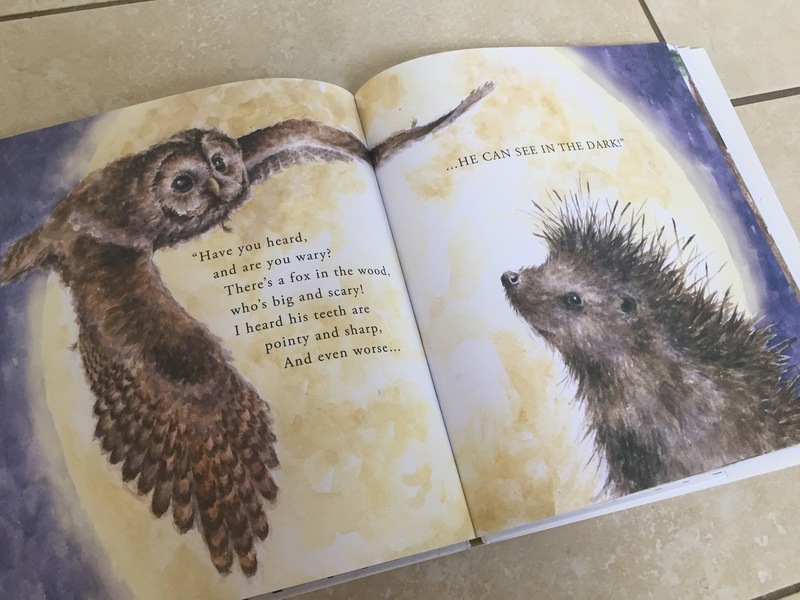 You might remember that we've enjoyed Hannah's children's books before, with her first publication 'Mr Hare's Big Secret', which the children still enjoy reading. 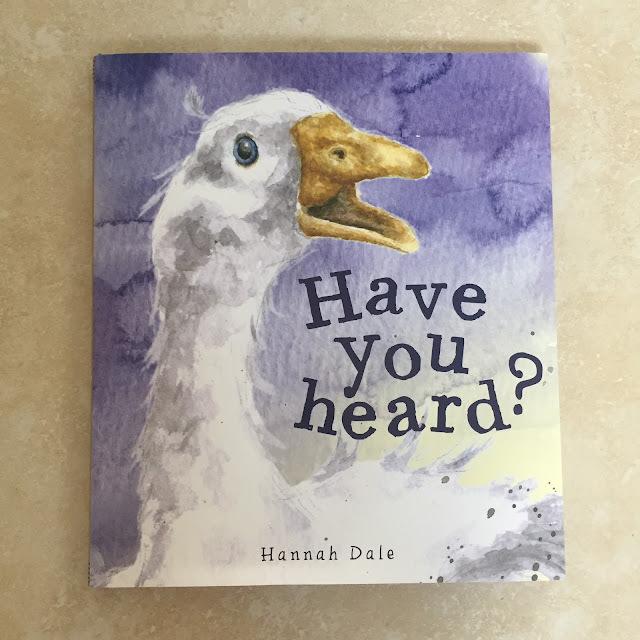 So we were excited to read this new tale, especially as her books are bursting with her stunning animal illustrations. 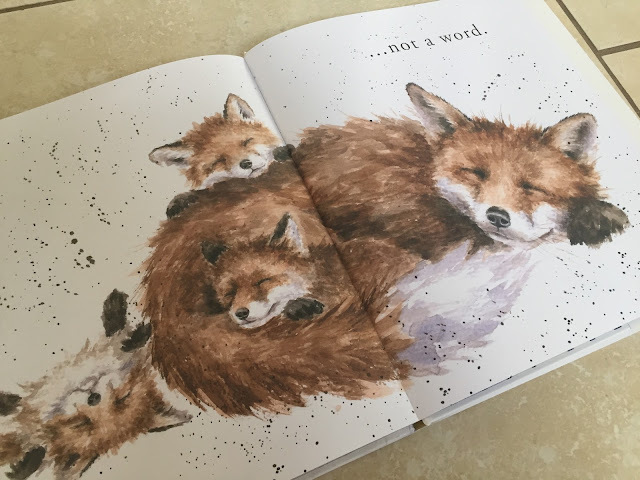 I don't want to share too much of the book and spoil it for you - but here's a taster of what a super book it is and how amazing the detail is in Hannah's illustrations, they really are enchanting! The story itself is easy to read and fairly short (which is important when I have to read 3-4 bedtime stories per night!!) 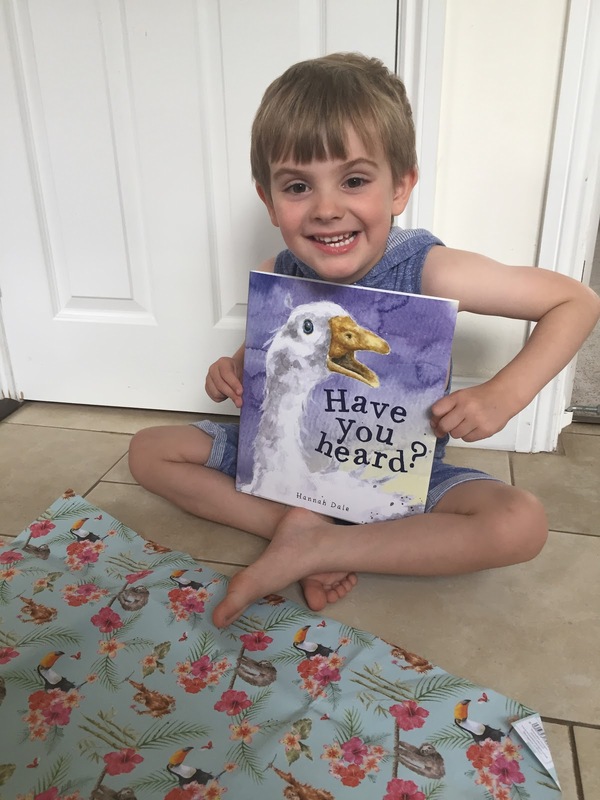 There's a very simple plot to follow, making the book perfect for younger children, or for first readers to try by themselves. 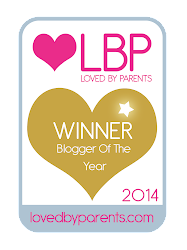 The plot explores how you shouldn't always believe everything you hear and that, sometimes, gossip can get out of hand! 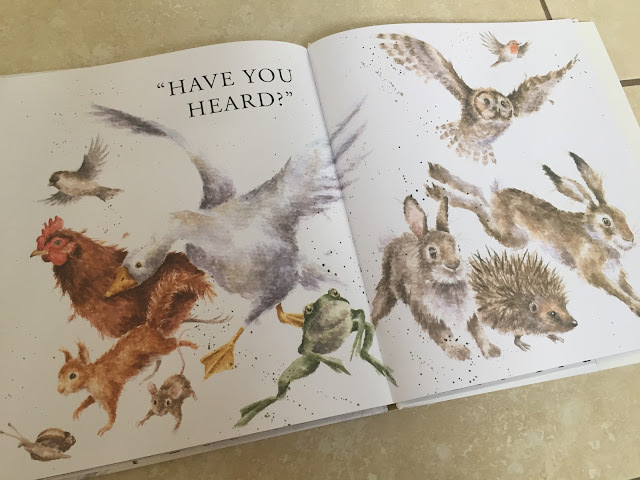 The animals in the story are gossiping about scary fox who they believe is on his way to gobble them up - but that might not be strictly true...! There's rhyming text building and repeating on each spread and it's honestly been a joy to share with my two kiddos. 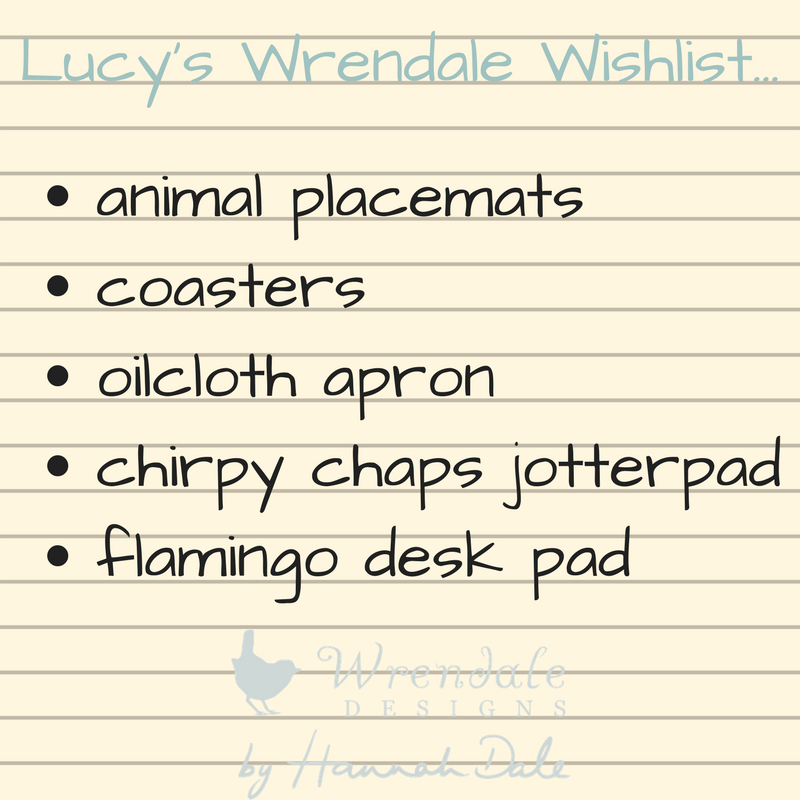 Huge thanks to Wrendale for the lovely gifts - we felt totally spoilt! If you'd like to get your hands on your very own Wrendale scarf then enter my giveaway below - you could win your favourite scarf from the new collection. We were gifted the scarf and book in return for this honest review. 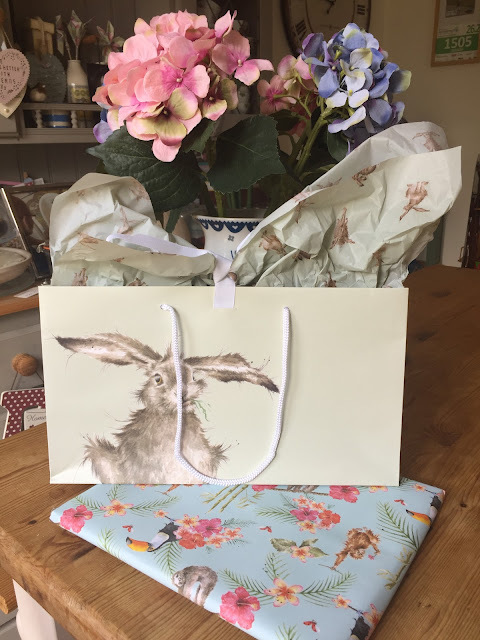 I think it would have to be the beautiful hare for me from those, although of all her designs the owl is my favourite. They are all so beautiful. Even the packaging. I love the fox scarf. 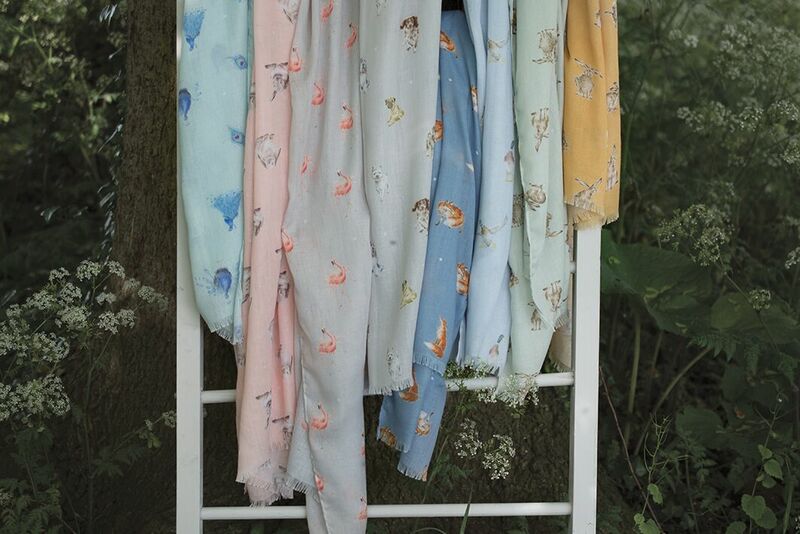 They are all lovely, my favourite is the green hare design.